My oldest son absolutely loves tomatoes. During the summer when tomatoes are easily available, he will bite into them like apples. 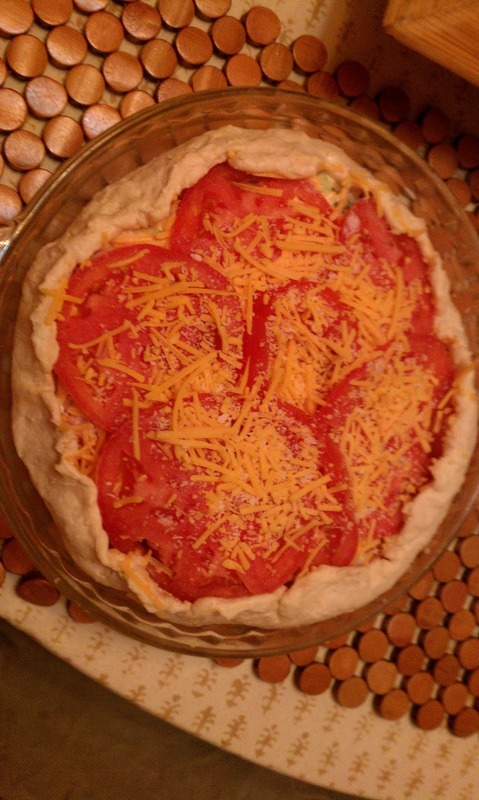 My husband and I love tomatoes baked in dishes, but aren't fans of them raw. I have been trying to find tomato dishes that will please both my tomato loving sons and my husband and I. I was interested when the August issue of Bon Appetit magazine had a recipe for Tomato and Cheddar Pie, which looked liked a recipe everyone in my family would enjoy. This recipe has 17 ingredients, and takes about three hours to prepare and bake, including cooling time. The ingredients are basic, most I had in my pantry or I was easily able to find at my local grocery store, with one exception. For whatever reason, I have been unable to find fresh dill at my local stores. Therefore, I had to leave it out of the recipe. I did have to tent my crust with foil about half way through the baking time to prevent burning. I followed everything else in the recipe as written. The dough will be sticky when the buttermilk is added, just add additional flour, but not too much or the dough will turn out tough. After the dough was chilled, I had no problem rolling it out. Even without the dill, this recipe turned out delicious. 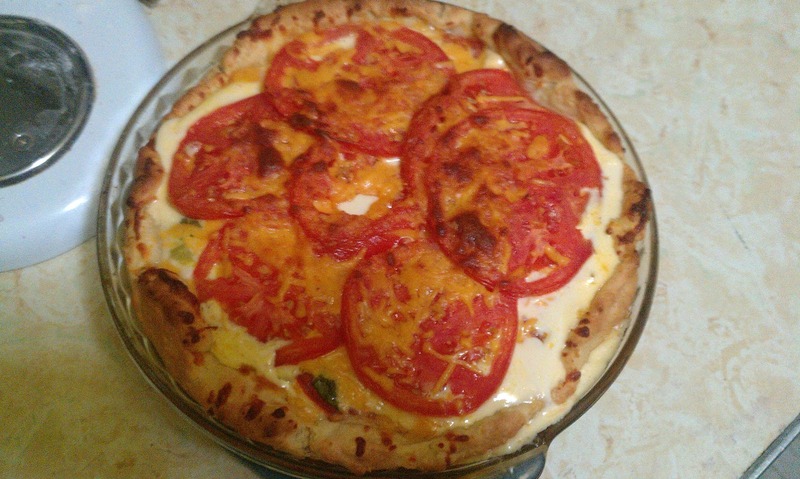 The tomatoes and cheese complimented each other nicely and the crust came out perfect. My husband and I were bigger fans of this recipe than my two boys, I think it might have been a little too rich for their tastes. Overall, a great way to use fresh tomatoes during the summer..
For the recipe go to Bon Appetit Tomato and Cheddar Pie. Returning the follow. Thanks for checking out and following my blog. Oh My.. amazing. I was lucky enough to live in the Caribbean for a few months. Fresh Tomatoes were the one thing we missed the most.